Well it is only 3 more sleeps till Christmas and the fishing on Lake Eucumbene is on fire. So if you are coming up here for the Christmas period be sure to stock up on your way through and hit the lake with gusto. There has been plenty of fish around Middling Bank, Seven Gates, Frying Pan, with many reports of 40 fish in a night session landed. Mudeyes are really picking up and coming on strongly against the power bait. 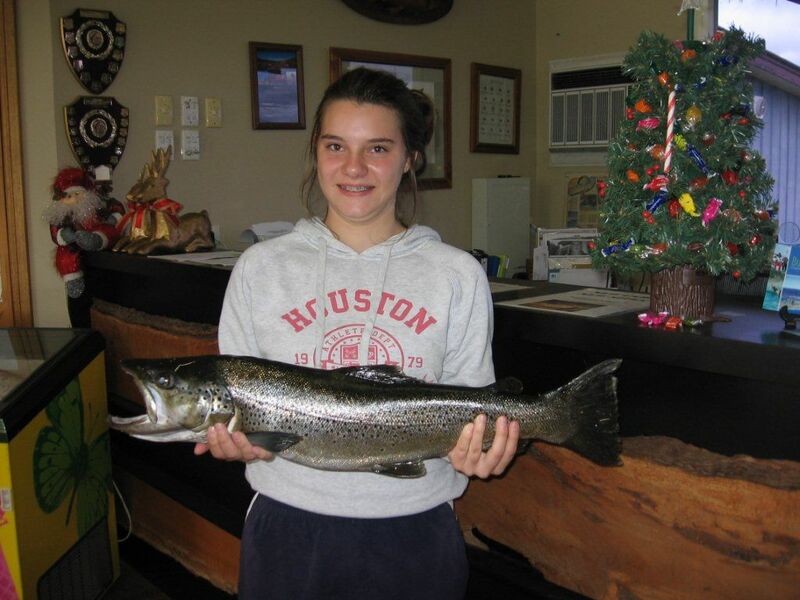 The area is fishing well even with the amount of rain we have had over the last week. Some persistence maybe required at this time of the year with so many anglers on the rivers, so best to be off at dawn to get the good spots and the larger fish. We have no pictures sent through at this time but anglers have reported good size fish taken on B/H Nymphs in Tom Jones, B/H Copper Johns. When the conditions are right and you are able to be on the river during a hatch they have been taking Irritable white Adams, Kosciusko Duns. Here we have a report from a mad keen angler whom cannot get enough of Eucumbene. On a lazy afternoon session on the boat he caught 40 + fish trolling. He was using a mixture of Tassie Devil yellow wings and Rapalas. Nice Brown, your name for the article would have been good too. Hi all this was caught by Clair Whyte aged 13 trolling with dad on a Rapala minnow around 9.30am.We have had some great fishing at Buckenderra the fly fisherman have been doing really well I am hearing and seeing most catching up to 20 fish if you like being out the whole day majority have been on the smaller nymphs and at various times all been around 30 to 35cm but in very good condition. Power bait has been on sherbet and orange as well as the orange salmon eggs and all of them rainbow we have also had a lot caught with mud eyes all from the bank. With the rain overnight and then the sun coming out in the afternoon we are seeing a lot of the fish rising in the evening and a lot of the fisherman arriving later in the day are bagging out very quickly. It is definitely a feast of fishing here at Buckenderra so we hope to see you soon. To all a safe and happy Christmas from the team at Buckenderra. On a family day out Olivia Heise from Cooma had a great session with power bait rainbow candy and a scrubworm. Olivia caught 5 fish for the day with 1.3 Kg Rainbow being her best fish. 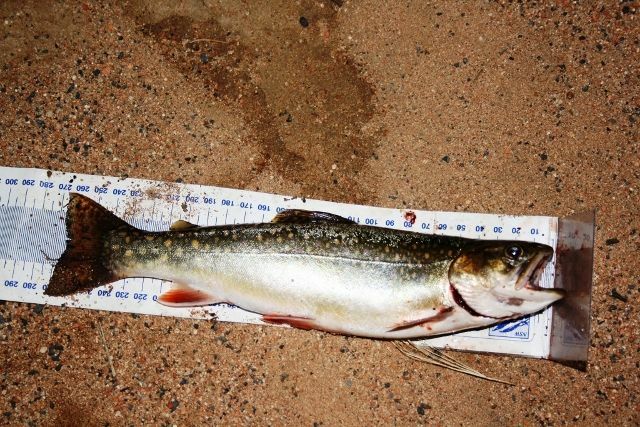 Got this 27 cm brook trout on Saturday evening at the boat ramp on lime twist power bait. Otherwise it was pretty quiet seven hours of bank fishing! I also spotted a dolphin in the late afternoon, thought it was a monster trout porposing in the water at first but it ignored all my lures. That was my last visit to Jindabyne for 2011. Have a Merry Christmas and New Year. Here is Anthony neat little Brook Trout.